Prof. Elshahawy is currently a full time Associate Professor in Department of Fixed Prosthodontics, Faculty of Dentistry, Tanta University in Egypt. He obtained Bachelor of Dental Science (1997) and Master Degree of Conservative Dentistry (2004) from Faculty of Dentistry, Tanta University. He taught Conservative Dentistry for residents and dental students. He pursued his PhD degree studies in fixed prosthodontics from Texas A&M University Baylor College of Dentistry in USA and finished PhD degree in Tanta University, in 2011, as a joint project between both dental schools. Earlier, Prof. Elshahawy obtained American National Board of Dentistry. He was a Visiting Scientist of Restorative Dental Sciences in Texas A&M University Baylor College of Dentistry in Dallas, USA for two years. He has authored and reviewed many peer-reviewed articles in various national and international journals of his research expertise. He has authored a chapter “Biocompatibility” in a published book by InTech Corporation; “Advances in Ceramics”. He has orally presented in many national and international conferences. 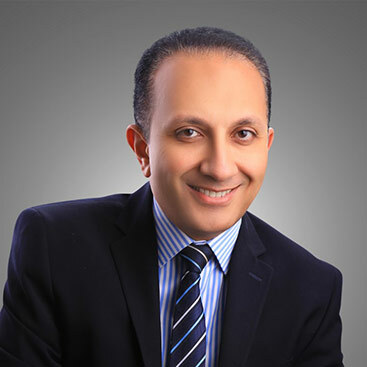 Meanwhile, he is a board member of Editorial Board of “Journal of Biotechnology & Biomaterials”, “Mathews Journal of Dentistry”, “Journal of Medical and Dental Research”, and “Tanta Dental Journal”, and he is also a board member of the Research Ethics Committee in Tanta Faculty of Dentistry. He was awarded many awards nationally and internationally, such as 2011 Marquis Who’s Who leading achiever in America, and 2016 Best Faculty Member in Faculty of Dentistry, Tanta University (Egypt). Prof. Elshahawy was the Secretary General of Tanta International Dental Conference 2017.